Skiing holidays are now more popular than ever, and with their burgeoning popularity has come to a host of cool gadgets and technology to make your ski break both more memorable and more exciting than ever! The new technology age has hit the slopes hard and there is a wide selection of choices for your trip, from top of the range speed recording devices to apps you can download to your smartphone in just a few seconds. Here we recommend the best of the bunch. If you are looking for a quick and cheap piece of technology for your trip, look no further than your own smartphone! There are tonnes of apps to choose from to help you enjoy your stay, including “Ski Traps” which uses your phones GPS in order to track your best runs, including your personal top speed and your total miles skied over the day. 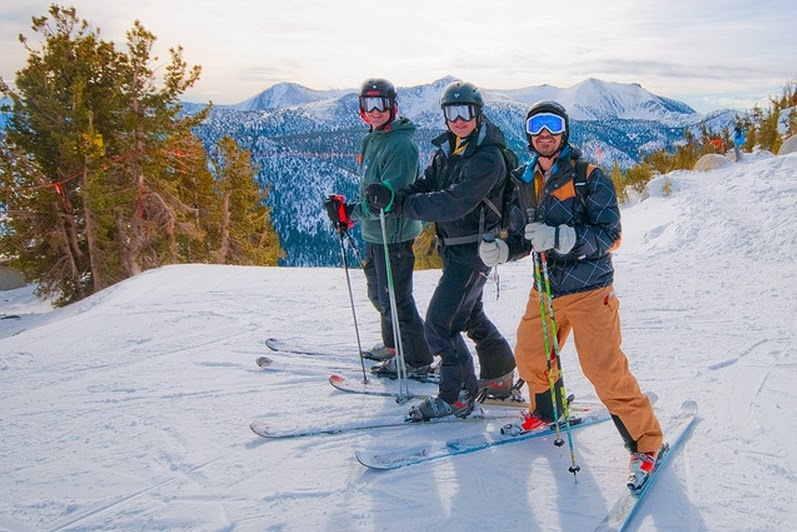 This app is fun to record your movements during your trip and watch your personal improvements, but also great for those with a competitive edge – can you ski more miles than your partner? For the thrifty, there is also the great app Tripster Ski, which gives you information on local discounts and coupons for cheap lessons, equipment hire, and bars in a selection of 25 French skiing resorts. For iPhone users worrying about potential damage whilst you hurtle your way down the mountains, it is recommended you find a high-quality tough case for your smartphone, such as the “Survivor” case by Griffin. There is nothing better than recording your own high-speed footage on your trip, and “head cams”, aka cameras are worn as goggles or helmets are the safest method of documenting your memories. The highest tech available head cam this year comes in the form of Oakley airwave 1.5 Snow Goggles. The goggles, whilst able to record in 1080p, display the current temperature, the speed you are traveling at and include GPS tracking so you can see exactly where you are on the mountain. They allow for smartphone connectivity, meaning you can receive calls and text messages whilst speeding along the Alps and can also download apps, letting you respond to posts and comments whilst you enjoy the great outdoors. You can access your Spotify, Pandora and smartphone music playlists to add to the ambiance and the goggles include a high-tech buddy system, so you and your friends can locate each other wherever you are, and use the navigation system to pinpoint a meeting location. These handy little gadgets are low cost but invaluable; skiers have used them for years but well-loved brand Zippo have created a more high tech version, allowing for warmer hands for longer! The Zippo hand warmer comes with a warming bag and filler cup, giving you everything you need to fill up and go. Staying warm for up to 12 hours, simply fill the little gadget with lighter fluid and you are free to explore your resort all day long without the chilly fingers! Anyone familiar with skiing will remember the damp, cold, dripping boots that seemingly never dry out with slightly less enthusiasm than perhaps other aspects of their trip. Clever company Sidas have created dry warmers; small gadgets that fit snugly into your snow boots, drying them out with UV light. This also sterilizes the boots, decreasing odor whilst giving you the freedom to enjoy your holiday without the misery of wet boots! This handy little gadget also warms the boots as it dries them, so it’s nice to give your boots a quick blast of warmth before setting out for the day. What you have packed for your Ski Holidays this time? share it in the comments below. Julia writes her own ‘lady-geek’ blog, but don’t let that fool you. She is also a well-adjusted member of society, and loves skiing and going running.